The excitement and romance of the Wild West was a powerful force on the imaginations of the British, from the 1930s until the 1970s. Samira Ahmed considers our love of the western. The excitement and romance of the wild west was a powerful force on the imaginations of the British from the 1930s until the '70s. Samira Ahmed reflects on the love of the Western. The American Film Institute defines western films as those "set in the American West that embody the spirit, the struggle and the demise of the new frontier". The term Western, used to describe a narrative film genre, appears to have originated with a July 1912 article in Motion Picture World Magazine. In this personal exploration, Samira Ahmed will see how Westerns nourished post-war British children and how they explored the politics and fears of their day. 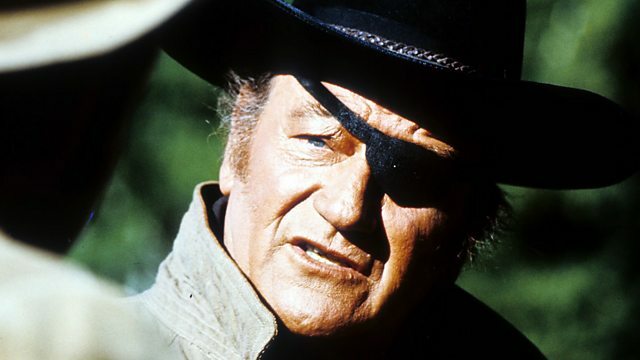 Samira says, "I remember sitting at an uncle's house in Hillingdon, possibly celebrating Eid, with lots of Hyderabadi relatives, and we were all - kids and adults alike - gathered round the TV watching the end of the original True Grit." The programme considers the central cast of characters in the western form. Samira explores her interest in the weird and wonderful women and their ranches full of outlaws, such as Marlene Dietrich in Rancho Notorious: "I especially loved the strong Indian and Mexican women - Katy Jurado in High Noon, as opposed to anaemic Grace Kelly. And there were always strong women in Westerns, holding their own in a deeply macho world. Then there were those secretly gay, camp, polysexual or just plain wacko Westerns - Johnny Guitar, the French critics' favourite, and The Singer Not the Song featuring Dirk Bogarde's highly unlikely Mexican bandido in black leather jeans and gloves." Samira Ahmed reveals her love of Westerns for Archive on 4.